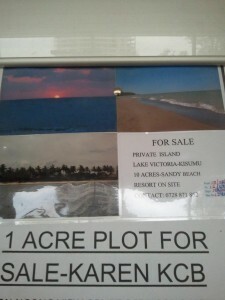 Private Island for Sale | Hujambo! You have to wonder whether the “resort on site” is part of the deal? I also wonder if there’s some sort of protection against President Museveni of Uganda, as he’s been known to make bold claims with regards to Uganda’s interests in the lake region of East Africa—I’d hate to spend my life’s savings on an island only to have it usurped by some politician! usurped excellent use of a popular law school word! Previous: Who Wants a Postcard?